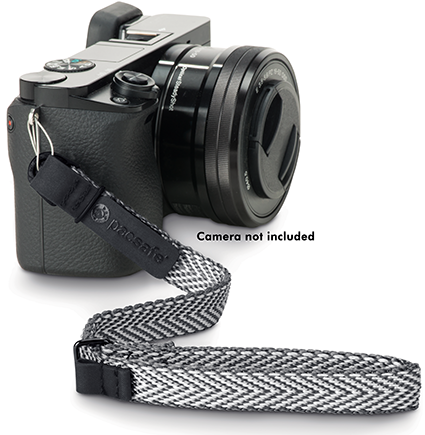 This is an anti-theft wrist strap for compact/mirrorless cameras. It's incredibly light, but amazingly strong. It fits any camera that has a wrist-strap loop. Don't let this strap fool you - it looks (and is) lightweight, but it is incredibly strong and comfortable! There's nothing worse than a broken or stolen camera while traveling. The Carrysafe® 25 helps keep your camera safe and secure. 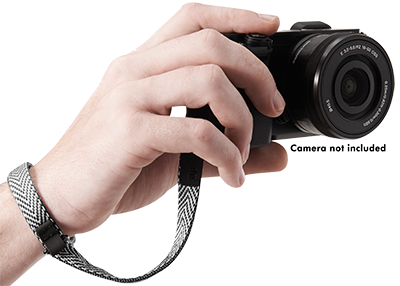 The hard-to-cut strap helps prevents strap slashers from cut-and-run thefts, while the unique wrist loop will tighten around your wrist if you accidentally drop your camera. It's made from Dyneema® fabric that is the strongest and most durable fiber in the world. It's 15 times stronger than steel, but is very soft to the skin.